Euro NCAP, the crash test organisation, has announced the five best performing cars of 2010. To be selected as safest cars of their categories, these vehicles achieved a high overall score and attained the coveted five star rating. 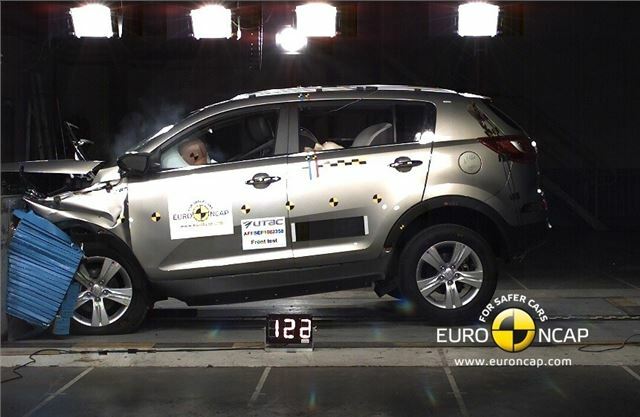 Last year, Euro NCAP crash tested twenty nine vehicles, 65% of which reached the five star rating, compared to 90% in 2009. This decrease of 25% clearly shows that Euro NCAP's criteria to reach a five stars are now tougher. Worryingly, the poorest results of 2010 were achieved by the Citroen Nemo Multispace with three stars and by the Landwind CV9 which received only two stars, although thankfully the latter isn't available in the UK. To be a top achiever, a vehicle has to get a high combined score based on the ratings in each of the four areas of Euro NCAP's assessment. In addition to the top five achievers, the Suzuki Swift, Kia Venga, BMW X1, Volkswagen Sharan/SEAT Alhambra and the Citroen C4 all exceeded the 80% mark in overall score putting them on the list of best performing cars of 2010.